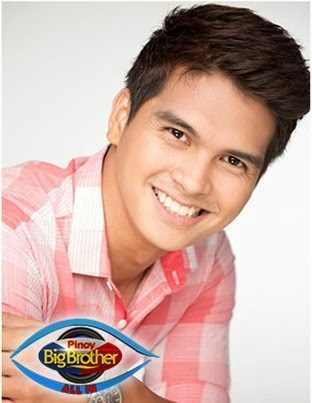 Manila, Philippines - Ranty Portento dubbed as the "Maginoong Marino ng Quezon" was evicted from the "Pinoy Big Brother" house during the live edition of 5th eviction night of 'PBB All In' on Saturday, June 21, 2014. Among those nominated housemates, Ranty only managed to receive lowest percentage of votes, 5.18% from home viewers. "Mas matapang at mas confident po, ako po ang bagong Ranty na lalabas po", Ranty said to Kuya. The 'Rising Celebriteen ng Quezon City ' Jane Oineza was saved from eviction as she got 45.40 percent of votes. PBB host Toni Gonzaga announced that aside from Ranty, two more housemates are up for eviction on Sunday, June 22. Voting results as of Saturday are already final. It was also revealed that housemates failed on their weekly task called 'Freeze'. On this task, housemates need to stop when they hear the tagalog word "tigil" (stop), and only allowed to move when they are told with the word "galaw" (move). They are only allowed to make three mistakes. The 5th eviction night of PBB once again dominated online conversations with '‪#PBB5thEviction', '#PBBLaway', 'Pretty Maris In White', 'Tulo Laway', 'Fourth XD', 'Why Ranty' and 'Jane is for Axel' topped Twitter trending list.